Just reading through a précis of last night’s Vice Presidential debate between Joe Biden, Obama’s number two and Paul Ryan, Mitt Romney’s running mate, billed as the clash of the Catholics. Being a practicing Catholic means taking care of those who can’t take of themselves, such as, in this instance, the unborn. Since when was the unborn, with it’s separate DNA and unique genetic fingerprint part of the mother’s body? Controlling one’s body should not extend to destroying another’s. Accepting the church’s position does not mean that one has a right to force that view on other people, that is, he can’t make other people subscribe to the same ideas. As a Catholic politician however, he has a duty to work hard for legislation and other methods to reflect his view in society. Working to bring about social change based upon one’s views, ethics and beliefs is the role of any principled politician. It’s not the same as forcing people to hold identical values. 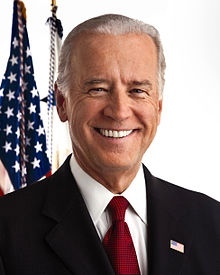 Biden’s personal views on abortion could be applied to any area of policy that affects individuals, such as, for example taxation. Is it fair to impose his view of how much tax everyone should pay on society or more pertinently to impose his view of whether institutions should pay for contraception in their health care and force them to go against their beliefs? That’s what politics is all about isn’t it, working to mould or change society for the better according to a set of beliefs, be they politically, ethically and/or religiously defined. In a democracy you will always be ‘imposing’ beliefs upon those who disagree with you. Otherwise his politics are all just crowd-pleasing, insincere and cowardly. Joe Biden is prepared to flaunt his Catholicism card, prepared to let his faith influence his social policy; a social policy that doesn’t extend to the weakest of all and does not reflect his Church’s doctrine in the most important of areas – right to life. Pilate-like he washes his hands of the unborn.